On the original Commodore Amiga machine (The Amiga 1000) , when it was released to the public, Kickstart was not considered “finished” yet, and Commodore wished to make it quick and easy to distribute later versions to users of the machine. The method that was used was this, there was a 256 kilobyte section of the RAM inside the machine that was WOM (Wrote Once Memory). When the machine was first turned on, the user was prompted with a picture on the screen to insert the “Kickstart Disk”, which would be read into the WOM, which after the Kickstart was read in off the Disk, would be then set to Read Only Memory until the power was switched off. 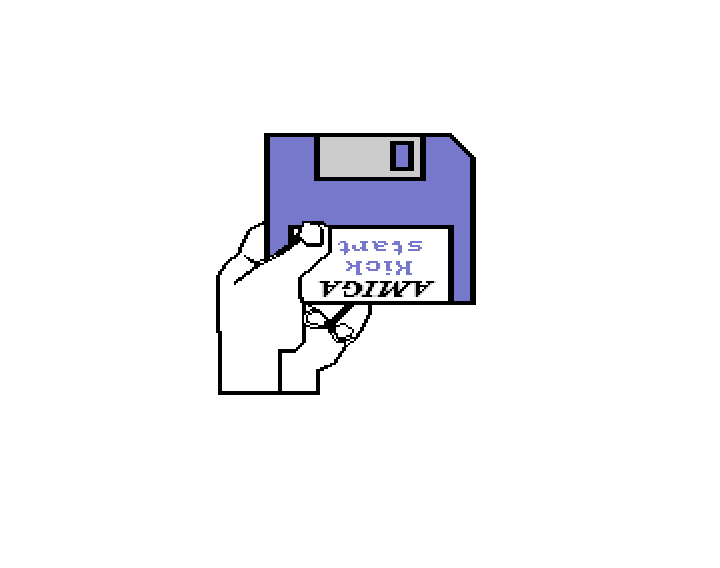 The Machine would then re-start, and would prompt for the Workbench disk, which is when whatever software disk you wished to use would be inserted and the Amiga started from. This may seem cumbersome and time consuming, but it did indeed make it easy for Commodore to distribute later revisions of Kickstart.